...Informing you for a smooth and fair transaction! Whether you're buying or selling a home, having a professional home inspection from a leading home inspection company will give you peace of mind and inform you for a smooth and fair transaction. Home Assurance Inspection Service is the premier home inspection company in East Tennessee, serving Knoxville and surrounding areas. We have been trusted by home buyers to help them make informed buying decisions. At Home Assurance, we offer you timely inspections, clear and easy to read full color reports with pictures of any concerns. Our home inspections typically range from 2-4 hours long depending on the size of the house and you are invited to follow along with your inspector as they perform their inspection. We take great pride in every inspection that is perform. When the inspection is over, your inspector will prepare a detailed inspection report regarding the property. 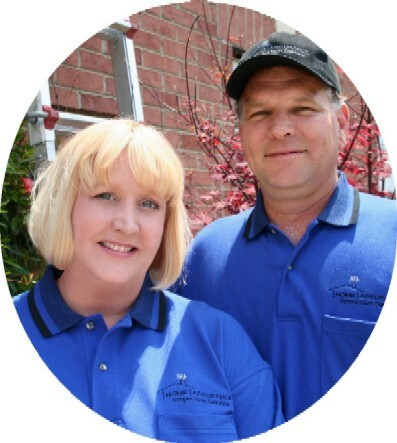 Robert & Tami are both trained and certified by the American Home Inspectors Training Institute, Robert as a Certified Master Inspector. Robert is a proud Member of NACHI, the National Association of Certified Home Inspectors as well. Call us today at 865-896-0160 to book your home inspection!